LG has revealed the new and one of the best mobile phone LG GD510, marketed as ‘LG Cookie Pep’ in the Indian market. LG GD510 touch-screen phone is an (almost) full-fledged smart phone—and is priced similar to the entry-level Corby. Think of it as an iPhone Nano, or a BlackBerry Lite. LG GD510 features a compact 3-inch full touch screen phone bundled with social networking features and is targeted at the younger generation. It will enable our young mobile users to have an extraordinary fun experience. It is available in silver and black. Priced at Rs. 6,333 /- the all new, feature-packed LG GD510 is indeed a prized possession. It’s infused with all the “essentials”: a fairly powerful camera, a video recorder, the capacity to store music, a voice recorder and the ability to access mail and Internet from an inbuilt browser. It even neatly ticks the “social media” requisites—with a Twitter and Facebook application inbuilt. It's is a fun to use phone embedded with all the important features. 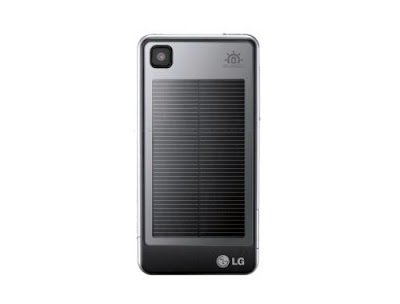 The LG GD510 is a phone targeted at the younger generation. It is available in silver and black. Priced at Rs. 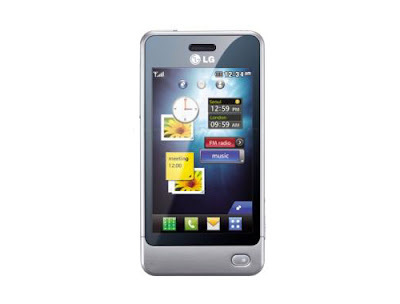 6,333 /- the all new, feature-packed LG Cookie GD510 Pep is indeed a prized possession. LG GD510 Specifications: * MicroSD card slot that supports up to 8GB * Dimensions:97.8 x 49.5 x 11.2 mm * Weight:87g * Display:3-inch TFT resistive touchscreen, 256K colors,240 x 400 pixels * Accelerometer sensor for UI auto-rotate * 42 MB Internal memory * Mini USB * GPRS/EDGE/WAP * Bluetooth v2.1 with A2DP * Network :Quad band GSM * Facebook, MySpace, Twitter integration * Stereo FM radio with RDS *Video recording QVGA@15fps * MP4/H.264/H.263 player * MP3/WMA/AAC+ player * Organizer * Li-Ion 900 mAh battery which offers stand by time of 360 h and talk time of 3.5h (LGIP-550N) All in all, however, the Cookie is a good buy. Like the Rs15,000 BlackBerry Curve 8520 or Nokia N97 Mini, it manages to distill the usefulness of a higher-end device into a small and cheaper form. It’s a solid phone and sets a high benchmark for all the future low-budget touch-screen phones that are sure to follow. Nice phones. Today, iPhone 4 apps development is a glorious service that is widely used for the business purpose.